“Aluminium drops as bears attack, others wait for news on China”, was the headline of a recent Reuters news report on base metals. The piece noted: “Aluminium prices slipped as bearish speculators kept up selling pressure, while other base metals were lacklustre ahead of the conclusion of U.S.-China trade talks”. The overall gloomy economic climate was further heightened by the ongoing partial shutdown of the U.S. government, as well as Theresa May’s historic Brexit defeat in the House of Commons. All of which begs the question – how can traders and investors survive the attack of the bears after being continuously mauled by fear and uncertainty? Since fear is the main cause behind falling prices, those who are able to gauge it accurately will be successful in forecasting quotations in the coming months. Last Friday, the aluminium price (cash, LME) rose to US$ 1851/tonne, after falling to US$ 1776/t on January 14, the lowest since February 2017. 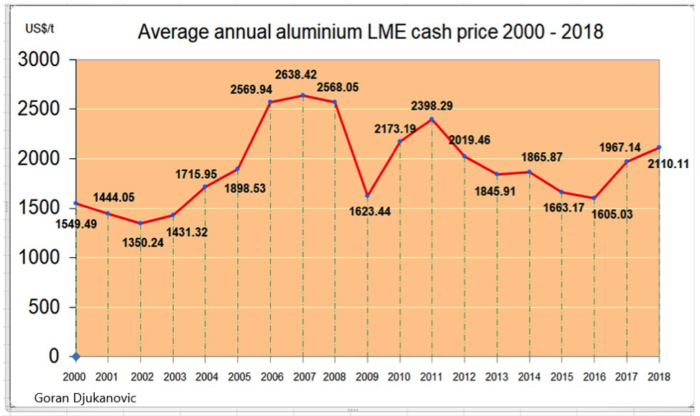 The average aluminium LME cash price in 2018 was US$ 2111/tonne, down 18.7% for the year. The more we look at the data the clearer it becomes that fear rules over the aluminium market. How else can one explain that, after China decided to cut aluminium output by 800,000 tonnes/year, aluminium prices extended their fall? In normal circumstances – as was the case several years ago – the LME should have risen through the roof. Or take the U.S. Federal Reserve’s recent decision to raise its key overnight lending rate to a range of 2.25 % to 2.50 %, and signalling “some further gradual” increases. Since higher rates indicate stable economic growth, metal prices should have followed this upward trend – instead, prices went down. While it’s true that each metal is influenced by its own mix of fears and uncertainties, it seems aluminium fell prey in 2018 to the most explosive combination. Indeed, the metal has been the LME’s worst performer over the last two months, pushed down by brewing trade wars and concerns brought by the expected delisting of UC Rusal by the Department of Treasury (due on January 28th). Citigroup Inc. estimates that around 300,000 tonnes of metal produced by Rusal are currently waiting in private storages, mostly held in Europe by large traders. That is equal to about a quarter of the London Metal Exchange’s stockpile. Removing the sanctions would allow traders to once again deliver that metal into the LME’s warehouses or directly to customers. Alumina price to fall further? Following the downward spiral of aluminium prices, the alumina price trended downwards in January as well, reacting to the removal of U.S sanctions on UC Rusal. This was an expected development as the company operates several refineries of the raw material. U.S. research consultancy Harbor Intelligence expects the alumina price to fall to around US$ 350/tonne by the end of the first quarter, from around US$ 400/tonne currently. For example, the latest Alumina FOB Australia (Platts) Futures stood at US$ 393 /tonne, on January 10. Alumina prices in China have trended downward since mid-November, with Fastmarkets MB assessing the price for Chinese alumina, delivered duty paid, at 2,900-2,950 yuan per tonne (US$ 429- 436/t) in the last week of December, down from 3,150-3,200 yuan per tonne in mid November. The Alumina FOB inferred Brazil price was US$ 421 per tonne on December 20. Norsk Hydro expects to restore operations at Alunorte to full capacity in the first quarter of 2019. The bottom line is that the alumina market should remain well supplied for 2019 and prices should fall significantly. 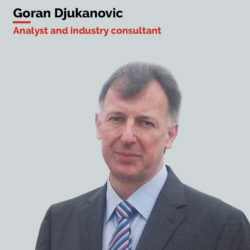 “We do not want to be long on alumina in a collapsing market. All that needs to happen is an announcement saying Alunorte is returning, and within hours the market will collapse,” a trader told Fastmarkets. Smelters start to lose money when the alumina price rises above 19% of the 3-month aluminium price, traders told Fastmarkets. Currently that percentage is around 22%, meaning the alumina price is still too high for those smelters that buy the powder on the open market. It’s also interesting to mention that there is an apparent surplus of aluminium scrap on the global market. Exports from U.S. to China decreased substantially during the last year due to the trade war between two countries, but the U.S. succeeded to find alternative markets in South East Asia. However, this is expected to be a temporary solution, as it’s unlikely whether these new markets, which are significantly smaller than China, can consume the same amount of scrap. Supplies of U.S. and European-origin scrap feedstock have increased recently on Eastern Asian markets, which has resulted in lower prices for alloy products. China’s scrap aluminium imports declined last year under the Chinese government’s Green Fence initiative to cut down imports of solid industrial waste. Japanese and Chinese secondary aluminium market sources warned that low demand and increases in supplies resulted in poor smelter margins, which may force some unprofitable plants to close. Japanese traders have been offered US U$ 1620/t CIF Japan (US$ 1600/t FOB China) for February shipments from China, which was the lowest price since January 2015. Historically, the lowest ADC12 assessment on S&P Global Platts record was US$ 1300-US$ 1400/t FOB China over December 2008-January 2009. China’s official manufacturing purchasing managers’ index (PMI) for December fell to 49.4 from 50 in November, below a forecast reading of 50.0 (indicating a contraction), according to data released by the National Bureau of Statistics (NBS). China’s non-manufacturing PMI for the same month stood at 53.8, performing better than expected. Of particular concern for managers are car sales, which have decreased in the first three weeks of December by 30% from a year ago, while retail sales trended down by 35%. An index tracking the volume of unsold cars at dealers reached its highest-ever reading in November, at 1.92. The Chinese central bank reacted promptly, and lowered the reserve requirement ratio for banks again in an attempt to improve the liquidity situation ahead of the week-long Chinese New Year Festival, which starts on 5th of February. The Bank announced additional cuts to the amount of cash lenders must hold as reserves. This move is expected to release a net 800 billion yuan (US$ 117 billion) of liquidity and offset a funding squeeze. If necessary (as growth slows), China could launch additional easing, including tax cuts and increased fiscal spending. Moreover, the infrastructure investment growth is expected to accelerate to 10 % in 2019, from 4 % last year, in aim to increase annualized quarterly GDP growth. This looser fiscal policy would allow for greater spending in the country and possibly generate more demand for metals. Shanghai Metals Market (SMM) said aluminium production in China in 2018 was 36.117 million tonnes (down 0.6% year/year), while alumina production was 70.427 million tonnes (+ 2.9%). With new capacity coming online, China’s output of primary aluminium is expected to grow 0.53% month on month, to 3.01 million tonnes in January or 0.13% lower than January 2018. For the same month, the output of alumina is expected to stand at 6.2 million tonnes, up 0.36% month on month, and up 8.58% year on year, as environmental rectifications across alumina refiners in Shanxi are completed. SMM retains its expectations that substantial growth of alumina output in the first and second quarters will weigh on prices. SMM further reports that Chinese primary aluminium producers have operated at a loss for the last six months, triggering output cuts across high-cost capacity producers. As supply cuts extend declines in social inventories, aluminium prices across Chinese markets are expected to see support at the 13,500 yuan/t level (US$ 1996/t), as much as it costs to produce a tonne of primary aluminium. Inventories of primary aluminium in China are expected to grow substantially from late January, when downstream consumers stop stockpiling ahead of the Lunar New Year. 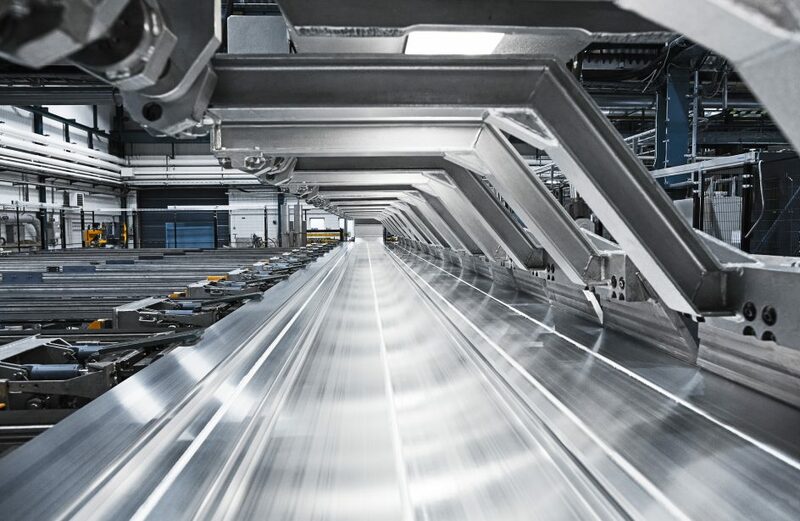 Paul Adkins, managing director of aluminium consultancy AZ China, said in a note that the latest production cuts were being made to generate replacement permits, which allow smelters to replace ageing facilities with more modern plants. This meant there would be “net zero reduction”, and the market had quickly realised that, according to Adkins. Capacity restarts in U.S. in this year (estimated at 650,000 t/y) and recently finished additional capacity in Middle East (Alba, 550,000 t/y) may reduce ex-China market deficits of primary aluminium significantly. However, while restarts in U.S. depend mostly on certain favourable market conditions being met to come online (such as aluminium and raw material prices), the Alba expansion is certain. Assuming that talks between U.S and China on trade tariffs finish successfully, which will bring temporary market relief, it is also reasonable to expect that other tensions will arise between President Trump and the rest of the world. For example, the issue of Section 232 tariffs on European car sales is far from being solved. 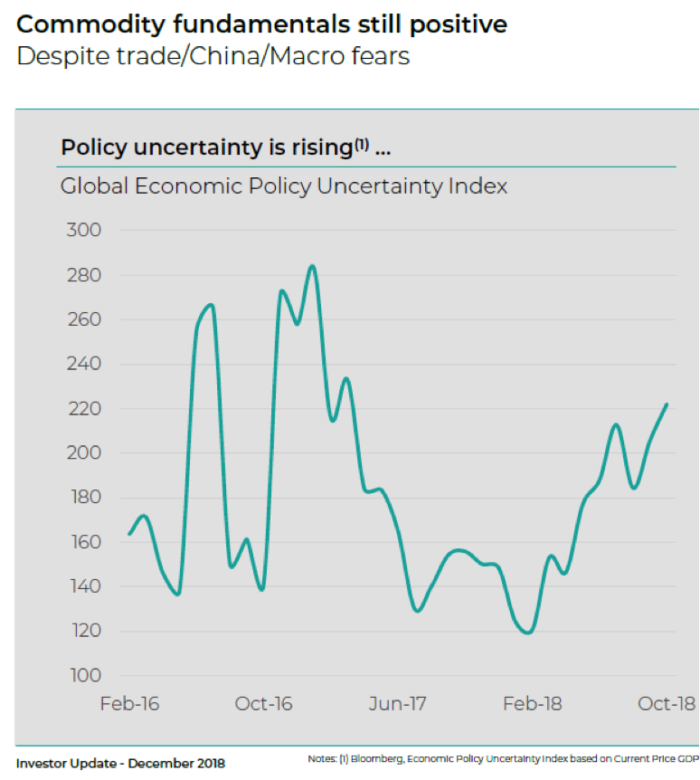 On the upside, the stimulus measures adopted in China are expected to give a breath of fresh air to the slowing economy, while worries that Rusal’s aluminium will flood the market after sanctions are lifted may turn out to be exaggerated. On the contrary, the return of Rusal will stabilize and bring more transparency to aluminium markets. It may still turn out that 2019 will exceed current expectations in both macroeconomics and metal prices. Whether the aluminium price further falls or recovers towards a level of around US$ 2000/t will mostly depend (aside of U.S.-China trade agreement) on China’s aluminium exports (close to 6 million tonnes in 2018). These exports would need to be reduced significantly in order to support aluminium prices. If that does not happen, smelters on the higher end of the cost curve will continue producing at a loss and some may even close, leading to more ex-China shortages. So no matter what happens, fear and uncertainty will not disappear completely overnight and their compounded effect will lead to lower expectations. Only when the underlying causes leading to market fears ease up or disappear will the conditions for higher metal prices be created.